Avicii's grieving parents have finally acknowledged the dance superstar's death as a suicide, almost a year after his passing. The Wake Me Up hitmaker, real name Tim Bergling, died while on vacation in Oman on 20 April, 2018, aged 28. In a statement released shortly after the tragic news broke, his relatives hinted at the personal troubles Avicii had been battling, but stopped short of calling his loss a suicide. Now, with the anniversary of his death looming, his father Klas has admitted it was tough for the DJ's family to face up to the facts of the situation. 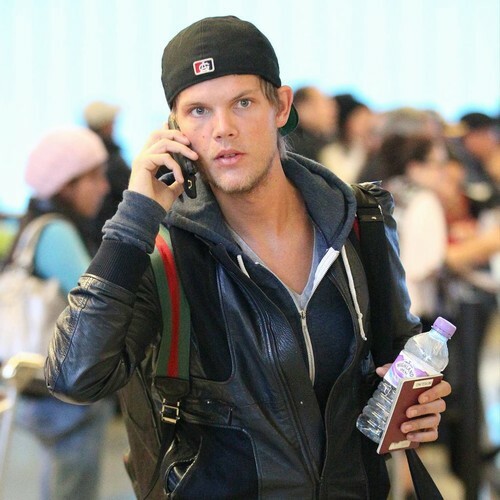 Breaking his silence over the circumstances surrounding Avicii's passing in a candid chat with The New York Times, the 73 year old reveals he is starting to use the word "suicide" to describe the manner in which his son died. "I use the word as often as I remember to use it," he says. "I have to get used to the word." However, Klas still can't bring himself to discuss the method of the star's demise: "It's not even a year since it happened," he mourns. "The family is very traumatised. We want peace." He goes on to insist there was no suicide note, so they are still at a loss as to why the musician felt compelled to take his own life, especially more than a year after turning his back on his hard-partying lifestyle to work on his physical and mental health. "There is no letter...," Klas shrugs. "Nothing points in the direction that he was planning it." As they continue to struggle to adapt to life without Avicii, he and his wife, actress Anki Liden, who has taken to wearing her son's clothes around the house, force themselves to take "Tim timeouts" so they don't always dwell on their grief. "It sounds a bit military, but you have to be military to handle this," Klas shares. "We are very vulnerable." The interview emerges days after Avicii's loved ones launched a mental health awareness foundation in memory of the tragic DJ. Through The Tim Bergling Foundation, they aim to "initially focus on supporting people and organizations working in the field of mental illness and suicide prevention". They also hope to tackle issues relating to climate change, nature conservation, and saving endangered species. "Tim wanted to make a difference," they stated last month (Mar19). "Starting a foundation in his name is our way to honour his memory and continue to act in his spirit." The New York Times chat also coincides with the news of Avicii's first posthumous album. Simply titled Tim, the project will debut in June (19) and feature songs he had been close to completing in the three months leading up to his death. "It should be released," Klas tells the publication. "No question about it."